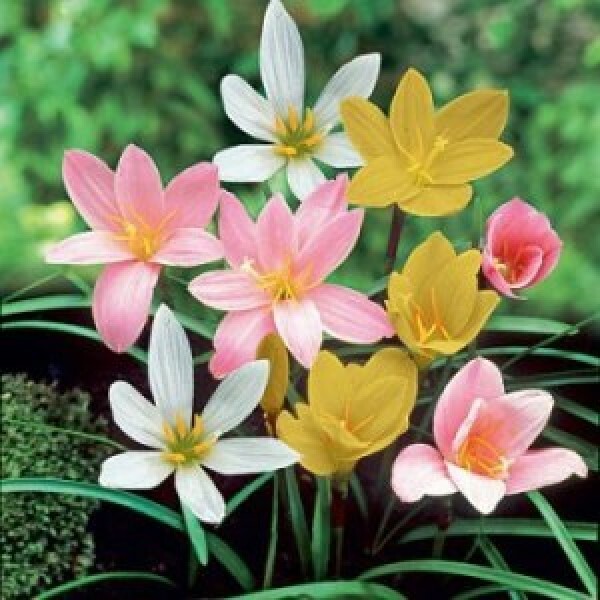 6 bulbs pack of fresh Zephyranthes mix color Bulbs. Blooms in bunch, best plant for flower beds and ground cover. Hardy and low maintenance, easy to grow.